Tracks Beer Garden is another venture from the folks behind Tracks Bazaar and is right over the railroad tracks from Tracks Bazaar. 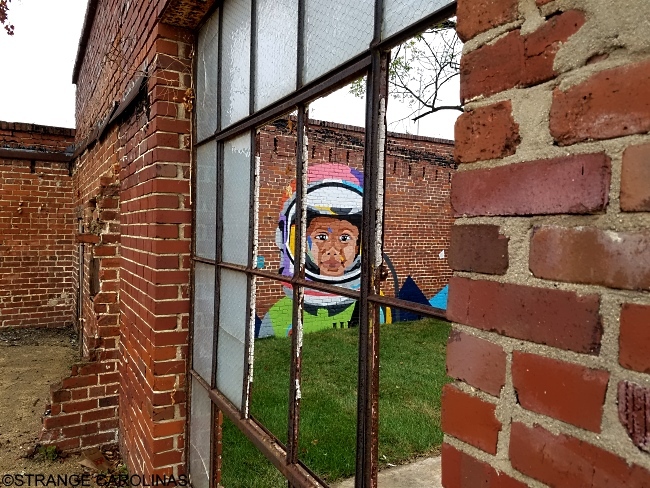 While it is not open for business yet, Tracks Beer Garden does have one thing in common with Tracks Bazaar: murals from world-renowned artists. 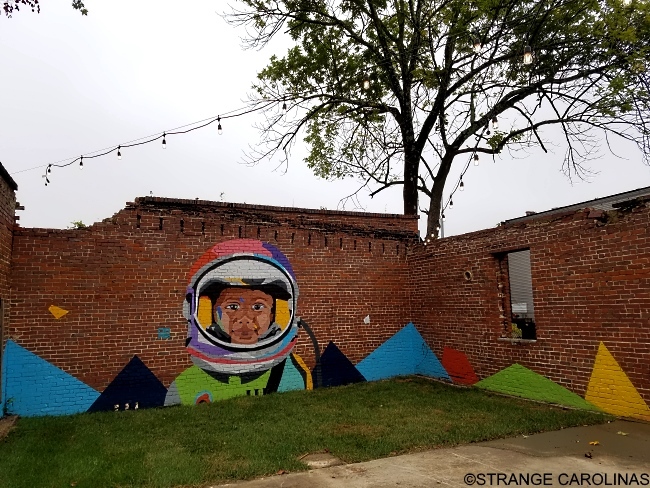 The first mural created for Tracks Beer Garden was "Space Child" by DAAS. DAAS told us about the project when we interviewed him back in August. 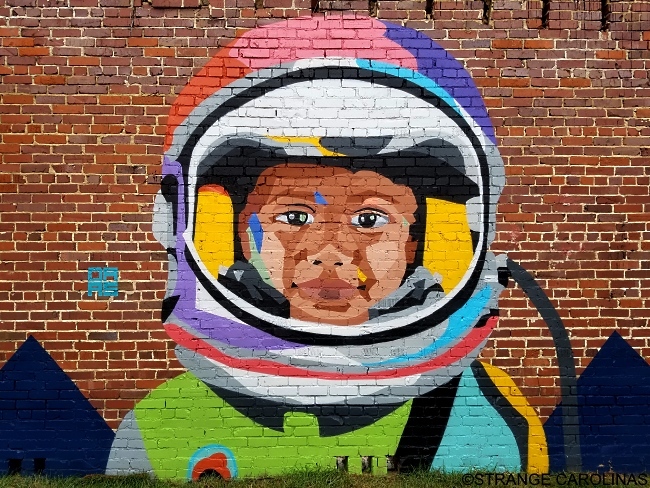 This is part of a series that started with "Space Girl" and included "Cosmo Dali" and "Cosmo Samo." 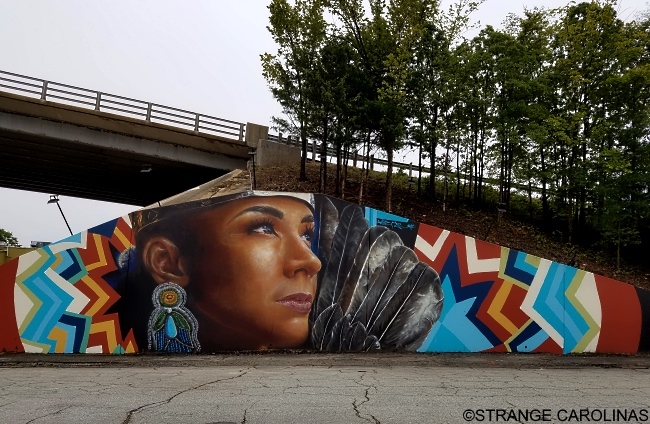 Australian artist Adnate came to Greensboro to paint two large murals, one of which can be found at Tracks Beer Garden. 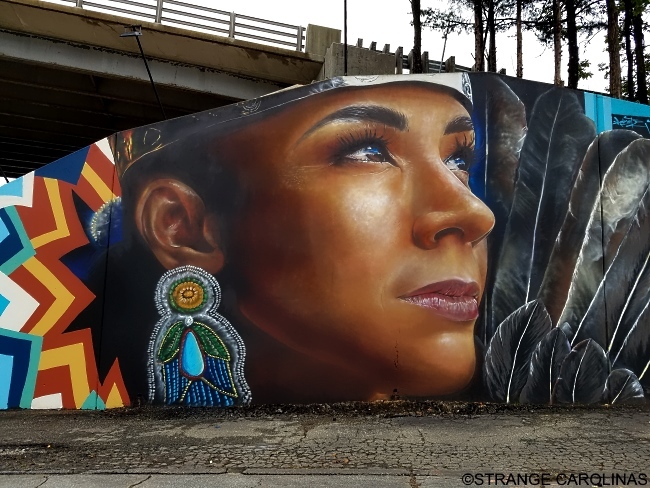 Both of Adnate's Greensboro murals depict North Carolina Native Americans in full Lumbee regalia.